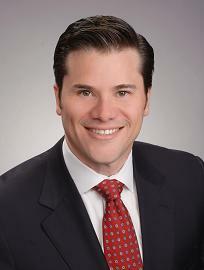 Speaker: Joaquin Altenberg, Managing Partner, VERT Investment Group. Topic: "The Changing Economics of Renewable Energy"
Mr. Joaquin E. Altenberg serves as the Managing Partner and Founder of Vert Investment Group LLC. He was an Associate at Lazard Technology Partners. Prior to joining Lazard Technology Partners in 2004, Mr. Altenberg was a Vice President at ACA, a specialty finance company based in New York City. At ACA, Mr. Altenberg was tasked with business development, portfolio and credit analysis. He has also worked at Metropolitan Venture Partners, an affiliate of the Man Group in London, managing and assisting with venture investments. Prior to MetVP, Mr. Altenberg analyzed and advised on investments in technology, specialty finance companies and real estate investment at Citigroup Investments. Mr. Altenberg was also an analyst in Morgan Stanley’s M&A group and Salomon Smith Barney’s Structured Finance Group both in New York City. Mr. Altenberg received his MBA from Harvard Business School and a Bachelor of Science in Computer and Electrical Engineering from the University of Texas.